Mr. Kamrul Islam, FCA, is a Partner of Islam Aftab Kamrul & Co. Chartered Accountants. Mr. Islam was an active member and elected Director of Dhaka Chamber of Commerce & Industry (DCCI) for 2005-07, active Rotarian and president (2001-2002) of Rotary Club of Sonargaon, Dhaka, Life Member of the Accounting Alumni, University of Dhaka. He is a life member of Transparency International Bangladesh chapter, member of consultative committee on the development of domestic and export factoring project under Bangladesh Bank, member of governing council housing and building research institute under Ministry of housing and public works, GOB from 2005 to 2009; Member-Secretary, finance standing committee, Bangladesh cricket board from August 2007 to November 2009. He has 28 years professional experience. He served as Acting Chairman of Janata Bank Limited. Mr. Islam is respected for his innovative ideas, concepts and various challenging endeavors in business sectors and social works in Bangladesh. He became Chartered Accountants and fellow member of the Institute of Chartered Accountants of Bangladesh (ICAB). He is also a fellow and associate member of many National and International professional bodies. Mr. Islam is also a fellow member of Institute of Chartered Secretaries of Bangladesh (ICSB). 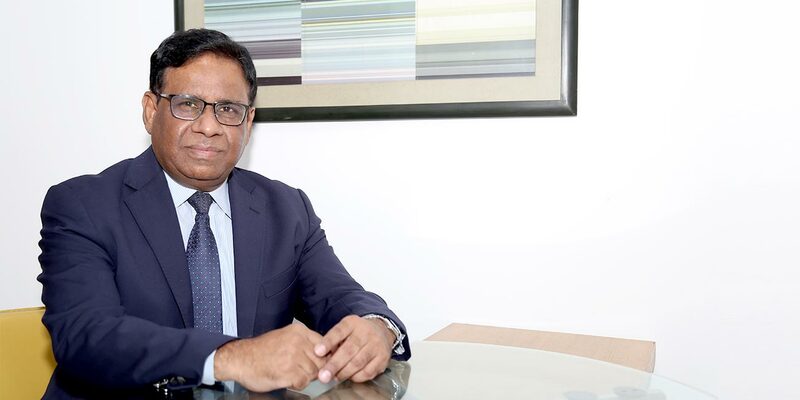 He is an associate member of Information System Audit and Control Association (ISACA), USA; Associate Member of the International Institute of Internal Auditors, Florida, USA; Life Member of Bangladesh Economic Association since 1997. Mr. Islam is also a member of the Bangladesh Society for Total Quality Management (BSTQM); Founder member of Intellectual Property Association of Bangladesh (IPAB). Mr. Islam was recognized with due respect for his contribution in Advanced Marketing Programs and Quality Management System in business sector in Bangladesh, Export Market Information & Strategies for Access as a part of DCCI. He is also recognized for his contribution in software & IT service sector in Bangladesh. Mr. Islam graduated with Honors and Masters in Accounting from Dhaka University, Bangladesh. As an FCA, Kamrul Islam knows his numbers and also prefers to speak in digits when asked about any facts. He also is an articulate speaker as the Fintech team came to know when we met him. Decked in a dark blue suit, Mr Islam looked professional and at the same time amiable enough; we threw him queries after queries and he answered all with patience of a top-notch accountant. Here is the excerpt of an hour long interview. 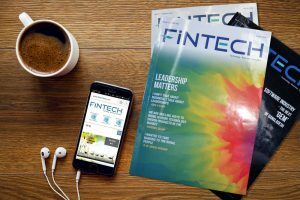 FINTECH: Please tell us about your professional career. How did it start and how do you end up being what you are now? I graduated with Honours and Masters in Accounting from Dhaka University, Bangladesh. After I qualified as a Chartered Accountant, I became a fellow member of the Institute of Chartered Accountants of Bangladesh (ICAB). Before I completed my CA (which you know is a time consuming process), I worked with an accounting firm. Upon completion, I set up an accounting firm by myself in 1993. Although there was a break in my profession for some time, my firm has been operational from 2007. I mainly look after the operational side of the accounting firm. 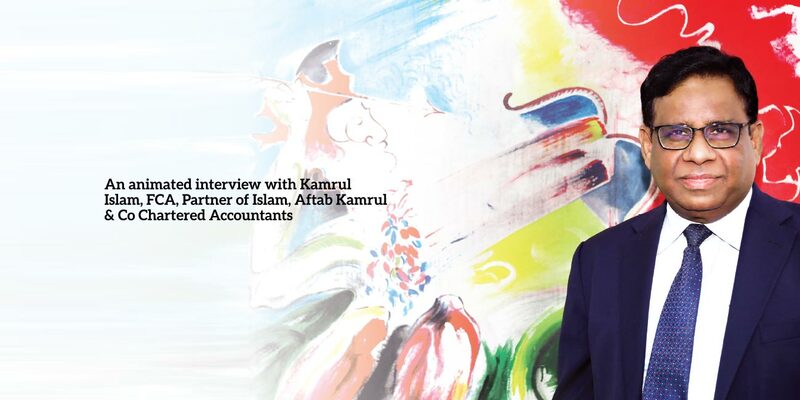 FINTECH: You are now a partner of Islam Aftab Kamrul &amp; Co Chartered Accountants. Can you tell us something about your firm? Who are its main clients? Aftab Ul Islam, President of the American Chamber of Commerce (AmCham) in Bangladesh is our principal partner. We are trying to introduce a new programme by the name of ‘Vatex’. The government has this plan to install Electronic Fiscal Device (EFD) in business units to collect VAT. We feel that this initiative may be feasible for Dhaka city, but in terms of the entire country, especially for those business entities that deal with a huge volume of transactions at a time, installing a single machine will not be useful. That is why we came up with the cloud-based programme where the business owner can record all the transactions through a mobile app. By using Vatex, a shopkeeper can instantly record the sales data without any hassle and he does not need to employ anyone else for this purpose. Since the financial requirement is much larger than we initially expected, we were compelled to slow down our work to implement this programme, but we are moving ahead with it. Additionally, the government has a case pending on its VAT law for two years, and therefore, we hope, we can roll out the programme in the middle of 2019. We are mostly working with Japanese FDI or foreign direct investment. Our CA firm is working with those organizations that are involved with bringing foreign direct investment to Bangladesh from Japan. We are also looking after six enterprises of the Bashundhara Group beside some local companies. The consulting firm for the Matarbari Power Plant and Dhaka Metro Rail is also one of our clients. FINTECH: Can you tell us about some of the major projects your accounting firm was involved in? You may remember that the electricity bills were once all written by hand. The government tried a lot with PDB and DESA but was not able to fully computerize the process. The Asian Development Bank and the World Bank told the government to split ten divisions of Dhaka city under DESA and give one half to an engineering firm and another half to a chartered accounting firm. We actually placed our bids for both the projects, but our bid was approved for the small project while an engineering firm attained the larger one. The projects were initiated in 1995. That project turned out to be extremely difficult for us although on paper it looked plain and simple. We faced severe resistance from PDB, DESA as well as from the meter readers as they were determined not to allow us to complete the project. In fact there was this incident when we were moving the ledgers from DESA’s Satmosjid road division on a pick-up van when some goons attacked the van, assaulted the driver and snatched away all the ledgers from our possession. We filed a general diary that night. A few days later DESA began pressing us to return the ledgers when in fact they had taken them. They did not want us to work on the project. By then we had already invested Tk20 lakh for the project and its total cost was fixed at Tk71 lakh. Our senior partner Aftab ul Islam declared that we must complete the project in spite of what we had spent earlier. Even after putting our best effort, we were unable to complete the project although we employed many people including 20 diploma engineers for the project. Afterwards we went to the Asian Development Bank and told them that we could not work by the methodology they had provided us because the locals will not allow us to work. However, we could complete the project if we work according to our methodology. The gentleman from Germany at ADB informed us that four parties (the ministry, DESA, PBD and our firm) must be brought together to change the methodology, which was not possible. So he told us to proceed with our methodology and assured us that we will be rewarded. Then we followed our own method where we did not depend on any guidelines from DESA and came up with the ‘walking order’ for the meter readers. Before, the meter readers did their job in a disorderly manner so we brought it under a system and called it the ‘walking order’. We went door to door and asked for the electricity bill from the customers. Thankfully, the people cooperated with us and we were able to fill the forms and enter the new data. As a result we found 35 percent consumers were unauthorized. DESA however did not agree with this data. When World Bank and ADB went to check the area from where we had collected the data, they found out that we were 100 percent correct in our work. When the billing began according to the data we had provided, around 100 crore taka was collected additionally in the first month alone in comparison with the previous months. We were offered more projects in this sector but we declined due to the bitter experience we had to endure. The system we introduced was implemented in the entire country and you will not find a single utility bill written by hand in Bangladesh. Any bill, be it from Bangladesh Rural Electrification Board, PDB or DESA, they are all computerized. We consider this project a huge achievement for our firm, not really in terms of the monetary value but the impact it had on the country. Another project I would like to mention is where we worked on the system loss of Titas Gas. If you can recall, when the caretaker government came into power, many meter readers of Titas Gas were caught because they were involved with corruption. We identified the system loss, how it was taking place and how it can be minimized. Based on our recommendation, Titas Gas established points for different areas where they could measure how much gas is being supplied to that particular area. Before that, Titas Gas measured the gas it supplied on a whole and when the bills were matched with the field data, the result was a huge system loss for the organization. 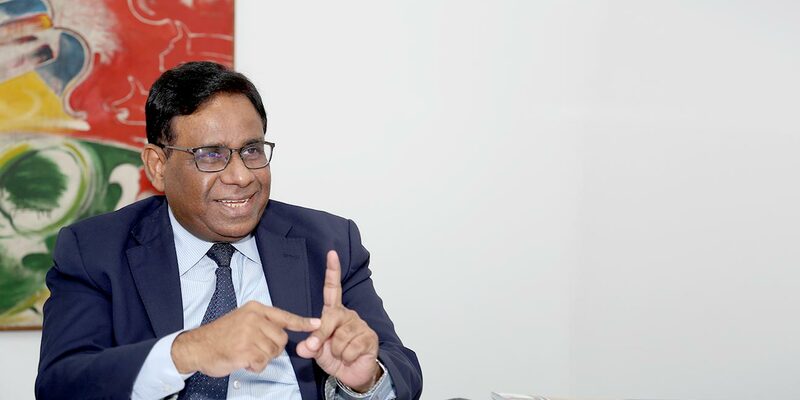 We, for example recommended Titas Gas to set up a measuring point for the entire Dhanmondi area, and bills were prepared according to amount of gas that was supplied to that specific area. Following this method, system loss came down to seven to eight percent which was over 30 earlier. The international standard for system loss in gas distribution is one to two percent. System loss is common with electricity supply due to the power transmission lines but not with gas. FINTECH: You are an FCA. What is the current situation of chartered accounting study in Bangladesh? Do you think more adept young people are coming into studying chartered accountancy? Many young boys and girls are entering the chartered accounting profession. But we still have a huge deficit in the number of chartered accountants. Let me explain it with a small example. The population of Hong Kong is around seven million, and when I visited that country it was approximately six and a half million. There were 20,000 professional accountants among 65 lakh people. When I talked with our institute, I found out that we didn’t even have 1,000 members in Bangladesh. Now that number is close to 2,000. But the requirement for professional accountants in Bangladesh is close to 15,000 to 16,000. So there is still a massive gap that exists in this sector. No chartered accountant has to sit idle because when he or she completes the graduation and subsequent training, the initial salary is over one and a half lakh taka with car and housing facilities. Before the pass rate was really low but it is increasing in recent times. However, I feel that more people should enter into this profession. All the accounting organizations in Bangladesh like ICAB and ICMAB are trying to fulfill the requirements of this profession. Here, we have this tendency to mix a book-keeper with an accountant. The work for book-keeping has been automated but an accountant’s responsibilities are different. An accountant enables a business organization to take major decisions about expansion or contraction, complete the capital budget etc. As many young people are coming into this profession, I am hopeful that it will be even better in the future. FINTECH: As a chartered accountant, you are principally dealing with company’s data and records. Do you think Bangladeshi companies are maintaining their financial and accounting data properly? No, not at all. I believe the government’s negligence is one of main reasons behind this lack of compliance. Let me give you an example. There are over one and a half lakh limited companies and each and every limited company should file its annual return with the audit report. Now we have about 40,000 returns that are submitted every year. After calculation, our accounting institute found out that it produces only 16,000 reports. So where are the rest of the reports coming from? The rest of the reports are false. The problem is that the government is not at all concerned about those companies that are not filing their reports or filing false reports and no action is being taken to curb this malpractice. A similar scenario exists for filing tax returns as well. If any chartered accountant shows higher or lower tax return than what it should be, the chartered accountant has to pay five times the amount of tax as a punishment. But now you will see that they are accepting many false reports. Institute of Chartered Accountants of Bangladesh (ICAB) has signed an MOU with NBR where the tax return can be filed on a software-based application. Each and every report will be available online, it will carry a specific number and can be verified if the report is genuine or not. Under the current system, it is not possible to check if a report is real or false. FINTECH: Bangladesh is considered as one of the most promising destinations for accounting BPO. What is your opinion about it? I also feel that Bangladesh is a promising destination for accounting BPO. The size of our young population is huge but they need proper training to develop their skill. We have to gear up keeping this in mind. In accounting, you cannot afford to be correct 99 percent, it must be 100 percent every time. If you are not 100 percent correct, you will never attain the true information. In some other fields, you can get away with a small margin of error. In the accounting process, you have absolutely zero tolerance regarding any margin of error. There can be grammatical errors in language but the figures must be correct, otherwise the accounts will not match. I feel that institutions should develop where we can produce efficient accounting professionals. FINTECH: You are now a director of the board of Sonali Bank. Are you satisfied with the way this bank is performing? Before joining Sonali Bank, I was with Janata Bank and I left that organization on December 25, 2016. After one month, I joined Sonali Bank. At Sonali Bank, I found out that the operating profit never exceeded Tk700 crore in any year. Sometimes it was Tk400 or 300 crore and the net profit was negligible to say the least, it was never more than Tk150 to 200 crore. In the last 10 years, the highest net profit was recorded at Tk350 crore. In the second board meeting on January last year, I looked at the papers and in the third meeting I raised the issue of the performance of the bank. Most of the board directors were bureaucrats although a few were bankers. The bankers were not that vocal and were dominated by the bureaucrats. When I asked the managing director about the yearly deposit of the bank, he said it was 103,000 crore taka. I wanted to know the advance which was Tk38,000 crore. The non-performing loan (NPL) was about Tk10,000 crore. So, in the 28,000 crore taka I wanted to know the amount of staff loan. The staff loan for the employees includes housing loan at four percent interest and car loan without any interest. The amount of staff loan stood at 5,700 crore taka. So Tk22,300 crore is all that is left. Then I asked the managing director how could the bank serve the depositors of 103,000 crore taka with only Tk22,300 crore. Unlike other banks, Sonali Bank is involved with 92 safety-net projects of the government besides the numerous services it provides to the government for free. Although we still do not receive any fee for most of services, we have started to charge the government for some of the services provided by Sonali Bank. The operating profit reached Tk1,195 crore in 2017 which was only 700 crore taka the previous year. Among all the nationalized banks, Sonali Bank achieved the highest profit. Our net profit was Tk716 crore. We expect Sonali Bank to achieve Tk1,800 crore operating profit this year and exceed Islami Bank’s profit. I personally feel and I also informed the board that if we can run the Sonali Bank properly, our operating profit should cross Tk4,000 crore in the coming years. Say, for example, I have Tk100,000 crore of deposit of which I can invest 82 percent (although many have invested 100 percent). If I can invest 80 percent or Tk80,000 crore and keep the spread at four to five percent, then five percent of Tk 100,000 crore comes to Tk5,000 crore. Sonali Bank performed exceedingly well last year but it is not reflected in the books since NPLs are increasing day by day. The rise of non-performing loans is perceived negatively by the media but I can see a good side to it. Until now, a huge amount of NPL could not be classified as such because the borrowers had filed writ petitions with the High Court. Since we have managed to vacate the writs by continuously pursuing the legal process, the amount of NPL has naturally increased. We could not file a case against anyone because the borrower had filed a writ. Once the writ is filed, you cannot show the amount borrowed as NPL. So the actual amount of NPL is much higher than we can show now. Recently, we had auctioned off the properties of a popular business house. That business house extended the time limit to October 29, and if they miss the deadline we will go for auction again. FINTECH: The main complaint about the state owned bank is its non-performing loans. Why can’t the bank board take strong measures in curbing NPL? Although the legal process to recover NPLs is a lengthy one, Sonali Bank is continuously pursuing it. The problem arises when someone has ‘blessings from above’, if you know what I mean. If we could work the way we want to, you would have seen a much greater improvement in curbing NPL. For example a well-known businessman is the biggest defaulter to Janata Bank as well as Sonali Bank. He owes more than Tk1,300 crore to Sonali Bank but we cannot do anything about it due to interference from a higher authority time and time again. Considering the legal processes we are pursuing, that popular businessman may be safe until the election, but not after that. Today or tomorrow, the NPLs will be reduced. FINTECH: Technological innovation is going to disrupt the banking sector and will bring massive changes. Are banks like Sonali Bank ready to take up that challenge? An 100 percent online banking system has been recently introduced to Sonali Bank. In order to improve online banking, Sonali Bank has ventured into new products like PayPal and mobile banking. We are also giving emphasis to enhance our IT department. We are working in the pension sector and need to devote a substantial amount of our time and energy behind Army pension. We pay the pension and bill the amount to the Army which we receive later. The cost of fund stands around Tk1,500 to 2,000 crore. Sonali Bank also deals with saving certificates and facilitates the entire process of this saving tool. Since Sonali Bank provides this service to the government, it has started receiving a fee from last year. So, I believe the bank is doing everything at this moment to stay advanced technologically.